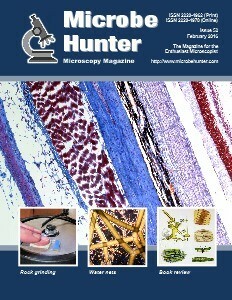 Check out MicrobeHunter Microscopy Magazine. 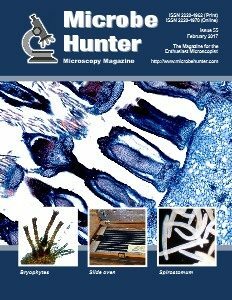 Welcome to issue 55 (February 2017) of Microbehunter Microscopy Magazine. 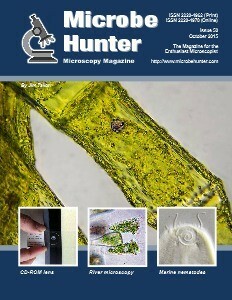 Welcome to issue 54 (October 2016) of Microbehunter Microscopy Magazine. 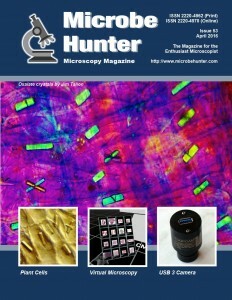 Welcome to issue 53 (May 2016) of Microbehunter Microscopy Magazine. 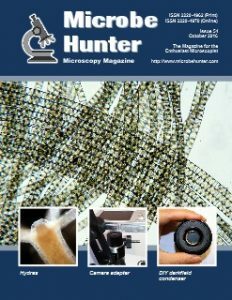 Welcome to issue 52 (February 2016) of Microbehunter Microscopy Magazine. 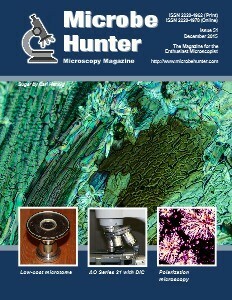 Welcome to issue 51 (December 2015) of Microbehunter Microscopy Magazine. 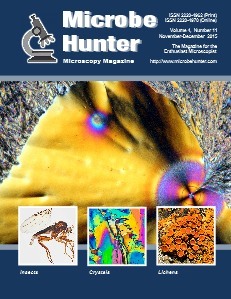 Welcome to issue 50 (October 2015) of Microbehunter Microscopy Magazine. 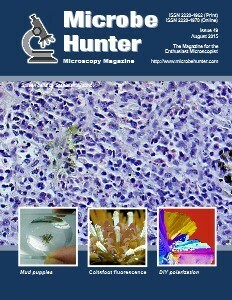 Welcome to issue 49 (August 2015) of Microbehunter Microscopy Magazine. 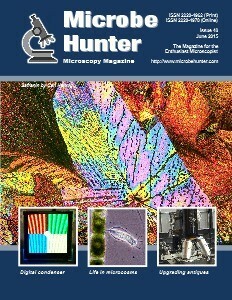 Welcome to issue 48 (June 2015) of Microbehunter Microscopy Magazine. Welcome to the November and December 2014 issue of MicrobeHunter magazine. You can download the PDF and order a printed version. 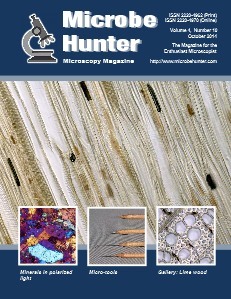 Welcome to the October 2014 issue of MicrobeHunter magazine. You can download the PDF and order a printed version.